Destiny is just glorious. A real haven for Sydney. What a really inspiring place. It is my pleasure to welcome you to Destiny Wellbeing Centre at Neutral Bay - right on Military Road. The story behind Destiny is fascinating. To begin with, Destiny is run by three passionate, inspiring women: Patricia, Laura and Clarissa. This spiritual hub definitely runs in the family. Irrespective as to whether or not you know your Chiron from your Jade; you will walk into this place with an (ideally) open mind, and then walk out refreshed and healed from whatever issue/s you might be facing in life at the time. Calling Destiny a “shop” clearly does not do this community minded business any justice at all. Running a busy retail store is no easy feat, and for Patricia, she has been running many at a time since 1977. 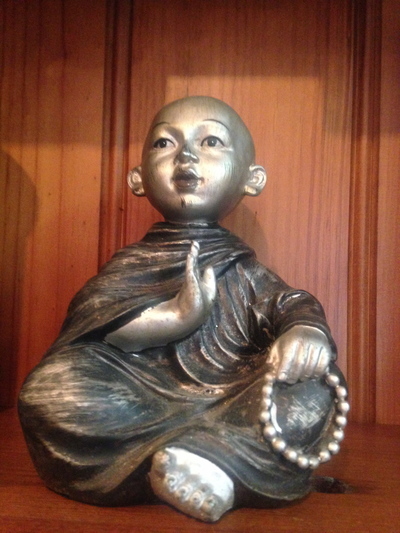 Patricia was approached way back in 2001 to “babysit” Destiny for at least three months during the transition from the owner back then to a new owner, of who called the place Om Shanti. 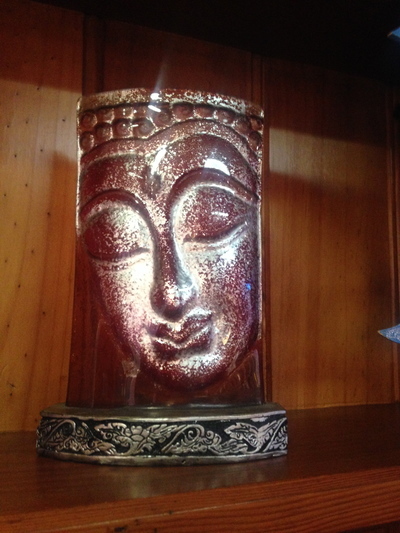 Om Shanti was run by a doctor from Byron Bay. The sale fell through, and there were well over 20 therapists working at this healing centre at the time. The timing was just right for Patricia to buy the business. Why? Two planes were hijacked and then flew straight into the twin towers at the World Trade Centre in New York. A a result of that devastating day in New York on September 11; Patricia found an opportunity to help her local community in a profound way. Coming from an Indian Christian background, spirituality and personal development was a little bit foreign to her - yet with faith acquired this business, and was inspired to re-name this wellbeing centre as Destiny. Destiny then quickly helped many people cope with this unexpected tragedy on the world’s economic powerhouse. They started to put on group meditations, of which they still run every Thursday free of charge - of which bookings need to be made in advance if you wish to attend one. Destiny was also her spiritual oasis after her husband (of who owned an automotive business) passed away about three years ago, as at the time of writing this. Very quickly Destiny grew. When you come into this space, you can sense the welcoming and positive energy vibe. Destiny is a healing community. Integrity and authenticity is in the veins of Patricia and Clarissa, as well as within Patricia’s daughter Laura. One interesting family, of who are incredibly worldly. Laura came on board (as manager to fill in until a new manager was found) to help her mum run Destiny about five years ago, after spending a bit of time in accounting after completing her international business degree. 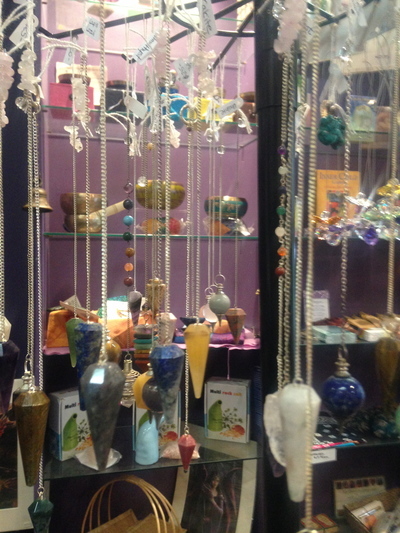 Laura began to quickly become more fascinated with crystals and self help books, than she did with the business world. This wellness centre is really authentic. When you walk in and Clarissa is around, she will give you a really amazing hug. The range of crystals available is just amazing. 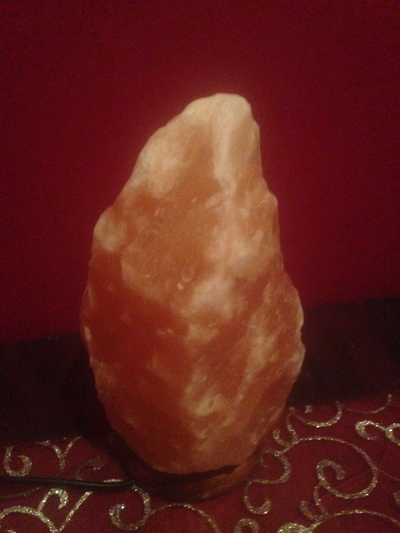 Even more fascinating, Destiny clean the crystals they sell (both online and in store) every 10 days in sage and salt water. 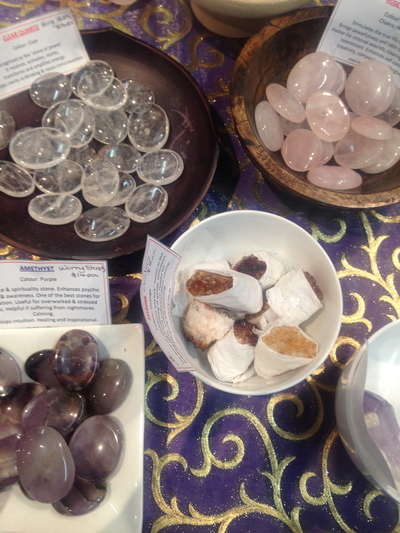 Laura’s knowledge of crystals is so impressive, and their therapists use them in their treatments. Speaking of treatments, I was fortunate to enjoy a 30-minute reiki treatment, followed by a 30-minute psychic/tarot card reading with Verena. I’ve also experienced a couple of psychic readings and spiritual healing sessions with Carol Ann, another therapist who is available to see at Destiny. 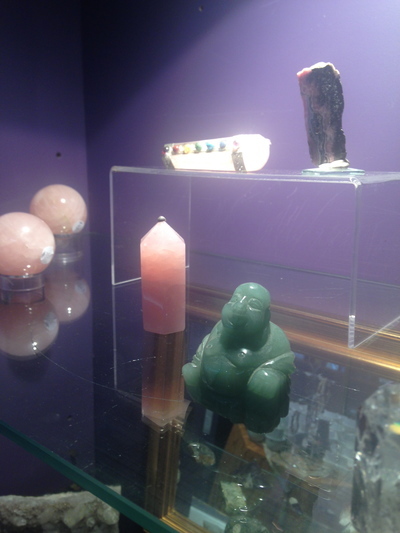 Even one of their massage therapists, Helen also uses crystals in her treatments. Their therapists are really caring and intuitive, based on my recent experiences with their healing treatments. Even if life is going great for you (as in the case of yours truly), and/or you need some help and spiritual guidance; Destiny Wellbeing Centre is your haven regardless. It is interesting, because Neutral Bay is in an affluent area in Sydney, where many of its residents are in high level corporate positions. 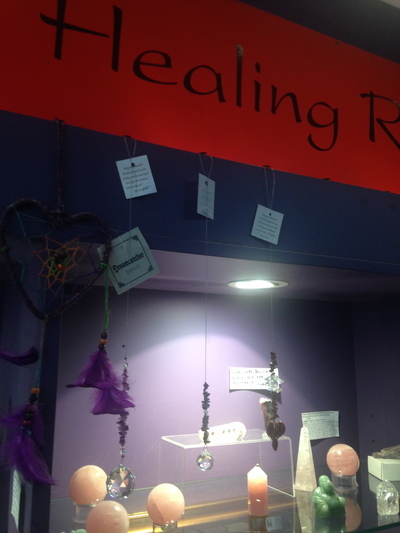 This business clearly understands that regardless of success, money and status; everyone still has their own challenges, and being healed the spiritual way to resolve issues is something that is suitable for all of us in a safe space. 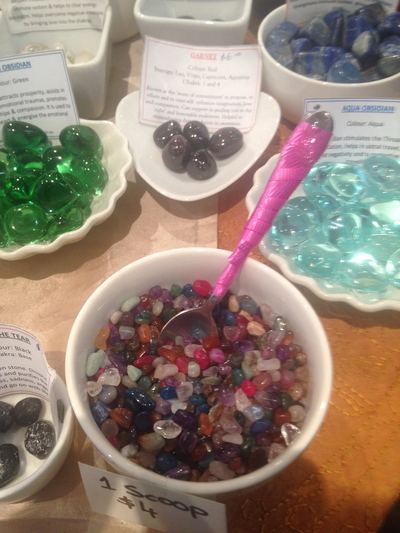 Their youngest customer is five years of age, and knows a lot about the healing properties of crystals, and actively invests in them. 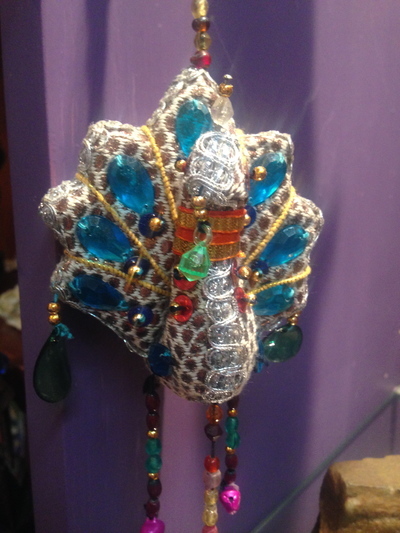 Laura says that she uses her intuition to match an individual with the right therapist. This is exactly how I felt after experiencing an amazing reiki session with Verena. 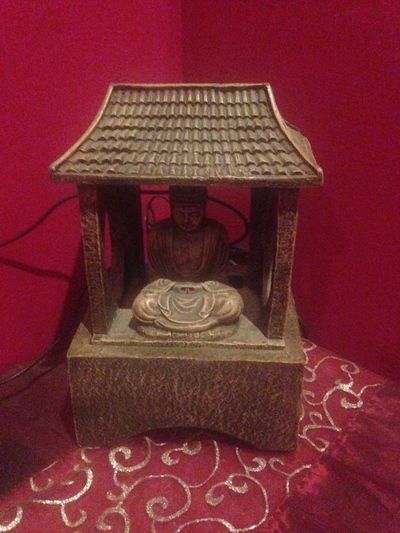 I was taken into a beautiful, peaceful dimly lit room with aura lamps and candles burning. Verena gave me a briefing of what to expect, and the session started off with some meditation. I was warned that I might fall asleep. At one stage Verena thought I was falling asleep, but I was just relaxed. I was wearing a dress at the time. Verena explained that I only needed to take my shoes off. On the other hand, I brought a t-shirt and bike pants for the session, and I felt more comfortable wearing such attire for healing to take place. In a nutshell, my business has been doing amazingly well, yet I am under the pump to keep up with my workload in everything that I do at the moment. Being a doctor, consultant, editor and writer at the moment - all being your own boss is pretty full on; as well as having just ended a love based relationship with my partner who was lying to me, and was not being fully honest with me on a few things despite being compatible otherwise. Plus I recently lost another area of my own business through a thoughtless act. Verena did an amazing job with her reiki treatment on me. Already I am feeling renewed, refreshed and re-vitalised. Positive suggestions (a little like hypnosis) were being said to me during the treatment, while I was lying down on a comfortable massage table style bed. Gentle touches were laid in various body parts to unblock any energy blockages, and to balance out the chakras. Verena gave me a rose quartz crystal, and a amethyst crystal to hold in each hand. I held them with the right grip, and they became incredibly hot quite quickly. I also noticed pins and needles (a little like an electric shock) running throughout my entire body; especially with my feet at one stage of the treatment. This treatment was incredibly relaxing. I definitely had to go to the toilet immediately afterwards for a detox. I will definitely have another reiki treatment with Verena. I also loved the lavender oil she applied to various body points, and advised me to use some lavender oil at home just before going to bed, and as soon as I wake up before helping me manage my intense workload and responsibilities a little more effectively. 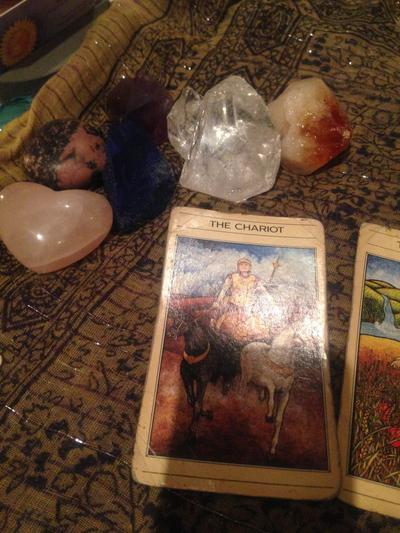 After changing back into my dress, it was now time for my tarot card reading with Verena. She asked me my date of birth, and then started to apply a bit of numerology. She told me I was in a cycle of new beginnings. No surprises there. She mentioned that my business will grow, and that I will keep on doing what I am doing, and will be earning more money. She said money is definitely no longer a problem for me. It also came up in the reading that I am now a medical doctor, which is also true upon the recent university qualification I was awarded not long after splitting up with my partner. She mentioned something about more exams, and another certificate to obtain in my work, which is also true. She said I love being a writer due to the research aspect of this work, as well as talking to people. She also mentioned that in relation to ‘the boy’ - that either we are not meant to be, or we are taking some time out to focus on other priorities. She said that I may get back together with this man, even though she said that he misses me; or that there is another man that is about to come into my life. Family also had a mention, and that I have recently taken on more responsibility in my business. She mentioned that I am meant to be a boss as well as a doctor, and that within the next six months, another change will knock on my domain. She also suggested two books for me to read, to help me become a better doctor to better read the minds of my patients - which is really important in the area of neuroscience. Verena also mentioned that I am meant to work in a few different fields of work, and not just be restricted to one area. “The business world is also good for you.” Then again I am still a business consultant in real estate. Verena also mentioned that I will never stop learning and studying. 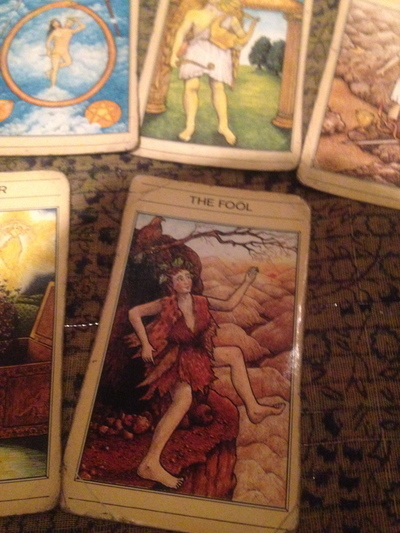 All of my cards were positive. “There are no bad cards for you here. All is well.” On the other hand, Verena told me to watch out for jealous people, as well as “snakes” that try to steal my business ideas and creations. This is where working in the legal profession prior to becoming a freelance writer was a real godsend. Amazingly, Verena also mentioned that what I have achieved in business (to date) is what many people who are at least 39 years of age and beyond achieve. That made me happy for a moment, as I will be turning 34 in a few months time, as at the time of writing this. She also told me to keep doing what I am doing, as it is working, and to continue meditating. It is fascinating to know that Verena does tea leaf readings as well. Verena’s 10 years experience as a natural therapist really shines. It all began through her interest in meditation, and her knowledge and practise of this healing act progressed to learning as much as possible about metaphysics and psychology. Definitely a caring practitioner. Destiny are also able to send their readers to dinner parties upon request. The treatments are the emphasis of the amazingness behind Destiny as a spiritual hub. I now have more clarity on the direction of my business, as well as my overall life design and direction. Destiny also run Spiritual Whispers events with medium Kate Barnes, as well as new and full moon meditations - in addition to the regular and free Thursday meditation sessions as mentioned. 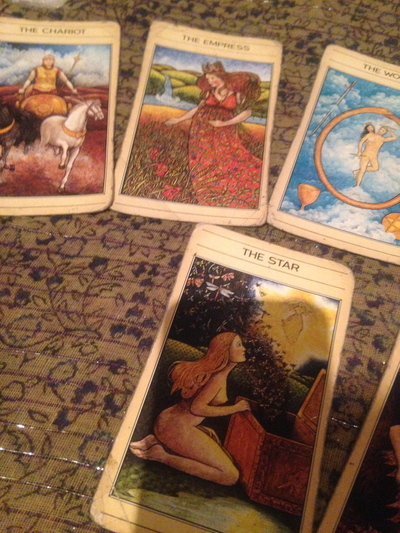 The reading did go better than expected, yet having your own business on a full-time basis is tough. Super tough. On the surface, Destiny appears to be a shop, however, deep down destiny is a hub for healing and spiritual transformations to help all of us in making the world a better, more harmonious and caring place. 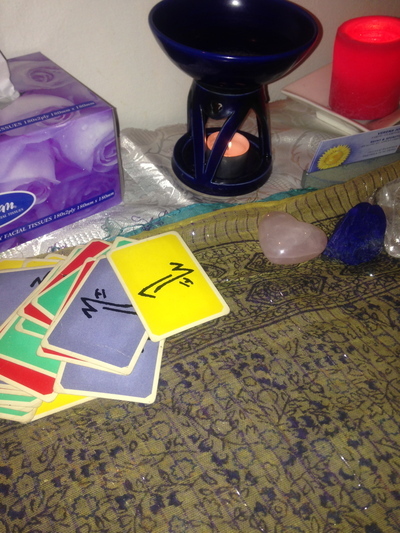 Thank you so much for the wonderful reiki and tarot card reading sessions Destiny. 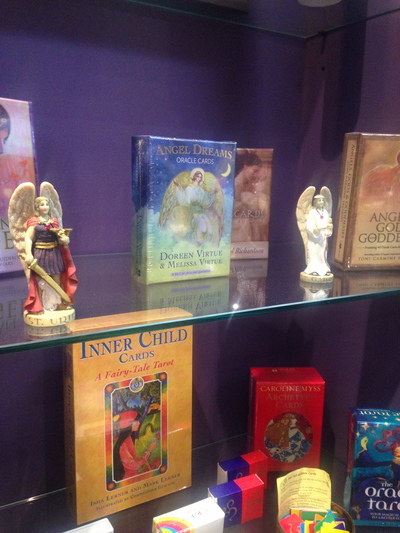 For any reiki, bodywork, charka clearing/balancing and tarot card/psychic reading treatments; I highly recommend Destiny Wellbeing Centre at Neutral Bay. Destiny, may you continue to shine into the light not only for Neutral Bay, but for all of Sydney. Cheers. 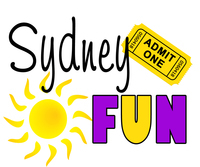 Justine would like to thank Destiny Wellbeing Centre and Sydney Fun for this special writer invitation. 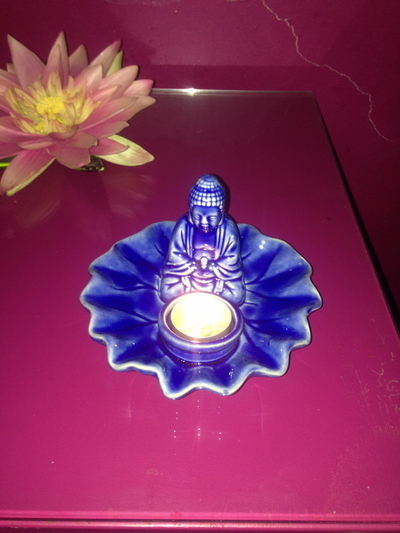 Why: Brilliant spiritual healing treatments in a friendly, nurturing and safe environment. Also for a diverse range of cleansed crystals. Cost: Depends on what your needs are. Very affordable. Good for kids: You would not think so at first glance, yet if a five year old child is inspired, then why not. Life is short. I would kill for this wisdom at such a young age.